Without a doubt, David Bowie dabbled in the occult. In fact, he probably dabbled in everything I listed above. This has been well documented, he has confessed to do so, and anyone with a knowledge of the occult can find multiple references to the occult in his lyrics. He has stated in interviews that he first dabbled in Buddhism, then Yoga, Satanism briefly, the Occult and even Christianity. Much of his occultism was about elevating his art and success, and as he once said to also protect himself against Satanists and the curse he felt over himself, and his path to doing so was through various rituals, drugs and sexual practices. Bowie was willing to do anything to become the world's biggest rock star. Towards the end of his life he would go back and forth about his belief in God, sometimes leaning closer to atheism, while at other times talking about how his whole life was a search for God, even as an occultist, and that he absolutely believed in God. 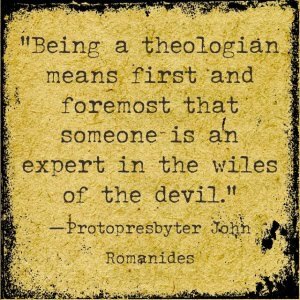 It is difficult to know exactly what he believed, but this shows what he really was - a seeker who wrestled with God. We also know what he was always against - organized religion. This is why he once described himself as "spiritual" rather than "religious". In 1992 he married Iman Muhammid Abdulmadjid, duly "sanctified by God", and told the press: "I'm not a religious person. I'm a spiritual person. God plays a very important part in my life — I look to Him a lot and He is the cornerstone of my existence... I believe man develops a relationship with his own God." ... "Religion is for people who believe in hell; spirituality is for people who've been there." 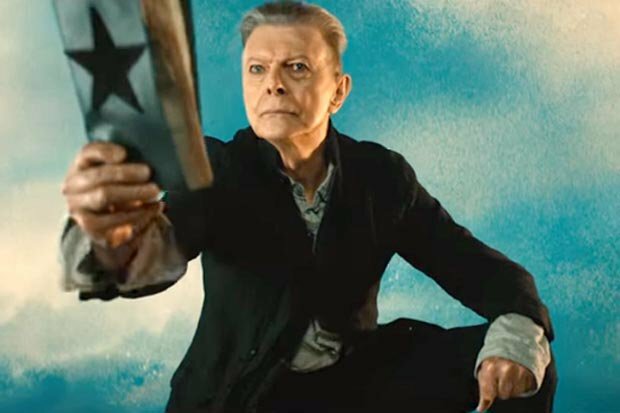 In his final album Blackstar, which is Bowie's farewell album, he put's his whole spiritual journey into perspective, and this can be seen in the graphic imagery of his last two videos for the album. In a way, he is revealing to us what he has always been as an artist from the beginning, often using occult and religious imagery to do so. He certainly shows that he is still against organized religion, but he is also revealing that he is coming to the end of his spiritual journey. What that is exactly cannot be accurately ascertained. Some say the term "blackstar" refers to a cancerous growth, being that he was dying of cancer when he made the album, but he also taught for years through his music about starmen. In Bowie's visionary science-fiction album Ziggy Stardust and the Spider's from Mars, civilization was going to collapse in five years and the 'infinites' would arrive. Ziggy Stardust (a sort of a Golem or Frankenstein's monster, "your face, your race, the way that you talk / I kiss you, you're beautiful, I want you to walk") was to announce the coming of these 'starmen' bringing hope. Ziggy is their prophet, the messiah who takes himself to incredible spiritual heights, and is kept alive by the devotion of his disciples. When the starmen finally arrive, they take bits and pieces of Ziggy so they can manifest themselves as real physical beings. Eventually they tear him to pieces on stage during the performance of the song 'Rock'n'Roll Suicide'. At the moment of Ziggy's death, the starmen take on his essence, and become visible. This Gnostic and Shamanistic imagery is perhaps part of the meaning to the title of his final album as well. Perhaps he left us by giving us bits and pieces of himself. His imagery is artistic which is meant to convey something deeper and more spiritual, though not necessarily sinister and evil as many would assume. It is just something sincere, whether one finds it agreeable or not. He is moving on like a rock star by leaving us something behind.